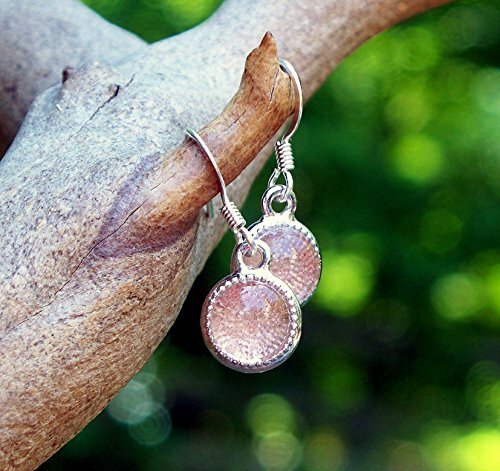 Sweet little dangle earrings that hang just below the ear. to perfectly match our charm and color dot series, or wear just on their own for a little pop of color! Charm measures 10.4mm (just under 1/2 an inch) and is practically weightless, the little charms feature a glowing pale pastel pink gem of recycled antique glass from the broken remains of antique pink depression glass taken from the woods and farmlands and hangs from a french hook ear wire. Charm is lead and cadmium free American made pewter, ear wire is surgical steel. Each piece includes "The Story of the Glass" detailing the history and age of the glass used. 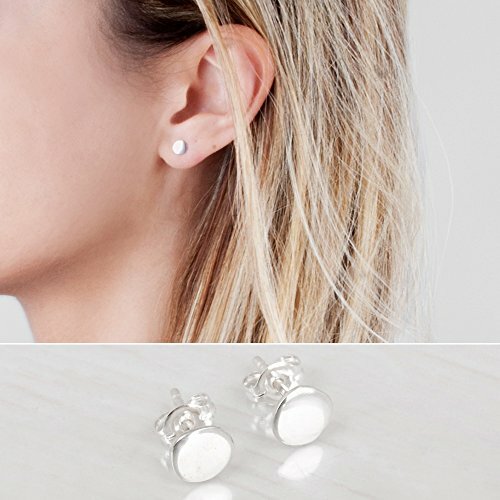 Simple circle stud earrings with a smooth semi-shiny finish. This is for a pair of earrings. Size: 5-6mmMaterials: Sterling silver ear wire and brass square coated with 24K gold (extremely high quality) gold coated sterling silver butterfly backs & secure silicon backs. Also comes in different geometrical shapes, and in sterling silver & rose gold at the shop. Please note: this listing is for one pair of Tiny Gold Circle Stud Earrings only. Images including other or multiple items are for style inspiration and an example of total look combinations of items from my shop. ER22-G - "Tiny Gold Circle Stud Earrings"
Simple 6mm ball stud earrings This is for a pair of earrings. Materials: rose gold: sterling silver coated with rose gold (extremely high quality) Rose gold coated butterfly backs & secure silicon backs. Also comes in more sizes (3mm, 4mm, 5mm), and in sterling silver & gold at the shop. 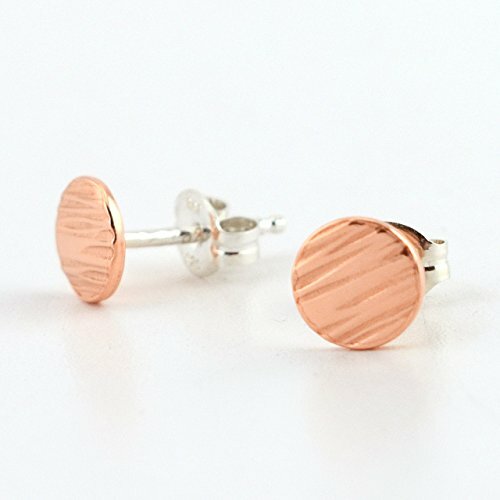 Please note: this listing is for one pair of 6mm Rose Gold Ball Stud Earrings only. Images including other or multiple items are for style inspiration and an example of total look combinations of items from my shop. 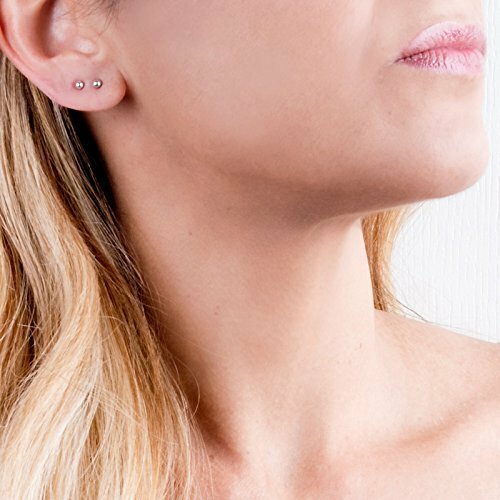 ER10-R6mm - "Ball Stud Earrings"
Simple small 4mm ball stud earrings This is for a pair of earringMaterials: rose gold: sterling silver coated with rose gold (extremely high quality) Rose gold coated butterfly backs & secure silicon backs. Also comes in more sizes (3mm, 5mm, 6mm), and in sterling silver & gold at the shop. Please note: this listing is for one pair of 4mm Rose Gold Ball Stud Earrings only. Images including other or multiple items are for style inspiration and an example of total look combinations of items from my shop. ER10-R4mm - "Ball Stud Earrings"
Simple tiny 3mm ball stud earrings This is for a pair of earrings. Materials: sterling silver silver 925 Sterling silver backs & secure silicon backs. Also comes in other sizes (4mm, 5mm, 6mm), and in gold & rose gold at the shop. 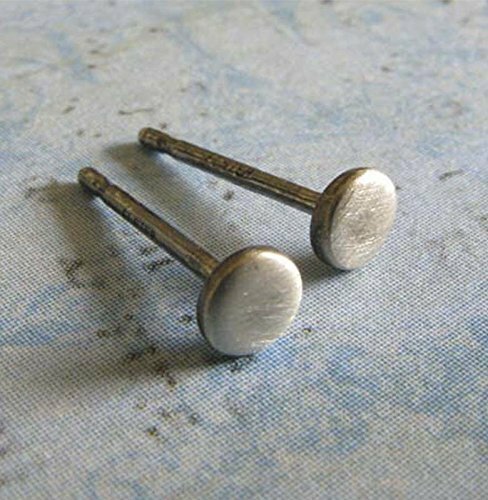 Please note: this listing is for one pair of 3mm Sterling Silver Ball Stud Earrings only. Images including other or multiple items are for style inspiration and an example of total look combinations of items from my shop. ER10-S3mm - "Ball Stud Earrings"
Simple circle stud earrings with a smooth semi-shiny finish. This is for a pair of earrings. Size: 5-6mmMaterials: Sterling silver 925 Also comes in different geometrical shapes, and in sterling silver & rose gold at the shop. Please note: this listing is for one pair of Tiny Silver Circle Stud Earrings only. Images including other or multiple items are for style inspiration and an example of total look combinations of items from my shop. 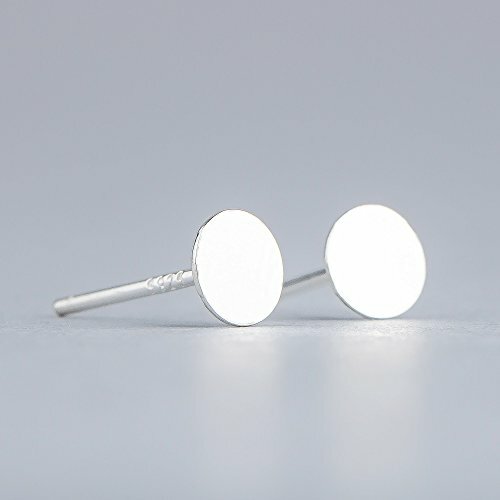 ER22-S - "Tiny Silver Circle Stud Earrings"
Simple small gold 3mm ball stud earrings This is for a pair of earrings. Materials: gold: sterling silver coated with 24k gold (extremely high quality) Gold coated butterfly backs & secure silicon backs. Also comes in more sizes (4mm, 5mm, 6mm), and in sterling silver & rose gold at the shop. 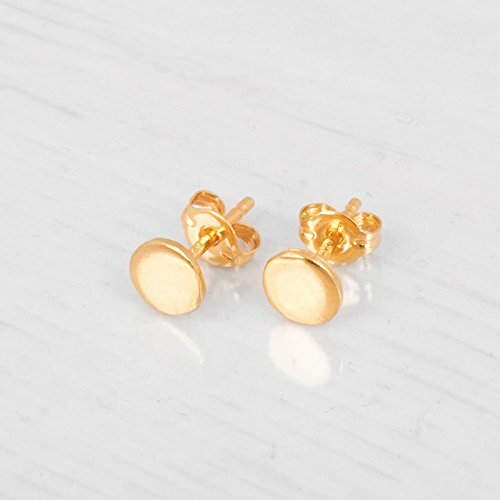 Please note: this listing is for one pair of 3mm Gold Ball Stud Earrings only. Images including other or multiple items are for style inspiration and an example of total look combinations of items from my shop. ER10-G3mm - "Ball Stud Earrings"
Teeny tiny stud earrings brushed sterling silver dot posts. Handmade in the USA. Tiny artisan handmade sterling silver dot post earrings. The Details. ∞ Artisan handmade ∞ Tiny dots (approx 3.2mm) ∞ Earring backs included ∞ Sterling silver ~ brushed∞ Gift box included ∞ Made in the USA. Compare prices on Dot Post Earrings at ShopPlanetUp.com – use promo codes and coupons for best offers and deals. We work hard to get you amazing deals and collect all available offers online and represent it in one place for the customers. Now our visitors can leverage benefits of big brands and heavy discounts available for that day and for famous brands.